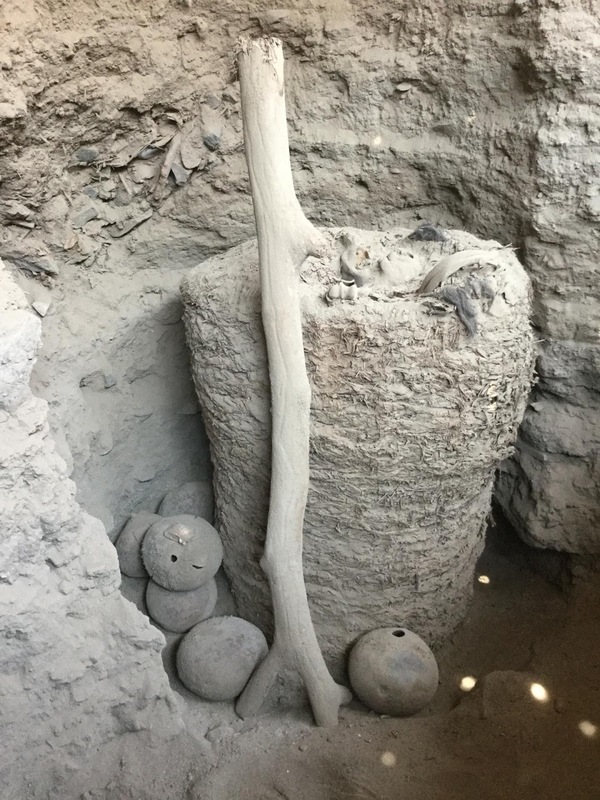 A team from the Université libre de Bruxelles's centre for archaeological research (CReA-Patrimoine) has completed a significant excavation in Pachacamac, Peru, where they have discovered an intact mummy in especially good condition. Pachacamac's status as a Pre-Colombian pilgrimage site under the Inca empire. is confirmed by further evidence. 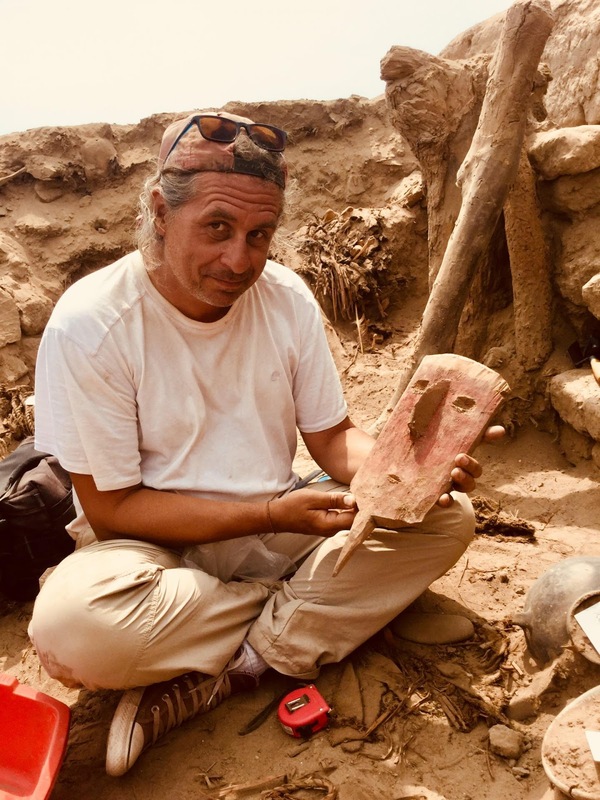 Peter Eeckhout and his team's latest campaign of archaeological excavations has concluded with an exciting surprise: after nine weeks spent exploring the Pre-Colombian site of Pachacamac, in Peru, the researchers from CReA-Patrimoine (ULB Faculty of Philosophy and Social Sciences) have unearthed a mummy in especially good condition. The excavation was carried out as a part of the 'Ychsma' project, named after the region's native people, under the supervision of professor Eeckhout. Three monumental structures were explored during the campaign, including a sanctuary dedicated to the local ancestors. Under Inca rule, in the late 15th century, it appears to have been transformed into a water and healing temple. The archaeologists have discovered many offerings left by worshippers, such as Spondylus shells imported from Ecuador; these are associated with the influx of water during El Niño, and they symbolise fertility and abundance. Before the Inca settled in the area, the sanctuary included large funerary chambers and numerous mummies, most of which were looted during the Spanish conquest. Miraculously, though, one of the chambers was found intact during the latest round of excavations: this is the funeral chamber that held the mummy. Due to how well it was preserved, the researchers will be able to study it without needing to unwrap the bundle. Together with Christophe Moulherat (Musée du Quai Branly, Paris), they will soon examine the mummy using the latest techniques in medical imaging (X-ray scans, axial tomography, 3D reconstruction, etc.). This will enable them to determine the individual's position, any pathologies they might have suffered from, but also what offerings might be inside the bundle. The other structures that were excavated are also related to worship: the first one, an Inca monument intended to host pilgrims and rituals, was built in several phases, each identified with a series of offerings such as seashells and precious objects. The last structure explored was probably one of the 'chapels' for foreign pilgrims, referred to by Spanish monk Antonio de la Calancha in his 17th-century description of the site. There, the excavations also uncovered many 'foundation' offerings, including vases, dogs, and other animals, as well as a platform with a hole in the centre, where an idol was likely placed. The complex appears to have been designed around this idol, involved in religious activities with pilgrims. According to researchers, all these discoveries indicate that Incas made considerable changes to the Pachacamac site, in order to create a large pilgrimage centre on Peru's Pacific coast. 'Deities and their worship played a major part in the life of Pre-Colombian societies,' concludes Peter Eeckhout.